Conscious Relating with Human Design – Find Your Power Places! Since 1987, and the first dissemination of Human Design onto the planet, millions of people have been touched by the fantastic depth and revelation of this profound system of self-awareness. In our Level 1 Certified Training Course, we will thoroughly explore the 9 centers of the Human Design Body Graph and learn about Human Design’s 5 Energy Types and their decision-making strategies. You will discover how to access your Inner Authority, as well as how understanding your design can improve and enlighten all your relationships, not only with a beloved or a family member, but to your career path and to all aspects of yourself. ~SINGLES looking to understand strategies to confidently, successfully approach and sustain healthy relationships. ~COUPLES looking to uplevel their connection, understanding each other’s emotional needs, through processes, and energetic patterns, to let go of judgment and work more collaboratively as a team. ~PARENTS seeking to create more harmony in the home, more compassion and awareness between family members, ideal educational environments for their children, and to understand approaches to gently discipline so the kids will blossom. Enhance communications with lovers, friends, family members, and colleagues. Learn your specific genetic Strategy to make decisions from an authentic place. Explore areas of “negative conditioning” in your life and how to release this. Receive certification in an emerging system of self-awareness that can give you a new revenue stream while supporting others on their path of evolution. 6 weekly classes, 90 min-2 hours each for a total of 10-12 hours of instruction. Classes will be in webinar format. You will see me and my slideshow the entire duration. You need internet access and join audio by phone or computer. Class recordings will be sent out the day following class. Intertype Relationships – Can’t we all just get along?! Understanding the limitations of Type and preparing for deeper study. ***Ability to bring in a partner or family member’s chart for analysis. I’m not in a relationship right now. Should I bother with this course? Can I get a Commission for referring some of my friends to join this course? YES! Whether you choose to join us for the teleclass series, or you can’t make it, you can still invite friends whom you think would benefit from this course. You will receive %20 of the student’s cost for each student referred. e.g Refer two friends who pay the normal price and you will receive $148!!!! I loved the multidisciplinary approach and the many ways that you covered different learning styles so we could all access the information. Visually, the class was excellent, and I found your way of communicating to be thorough and intuitive. Your teaching was concise, but thorough, and very easy to follow. I am committed to making this course affordable. One of the frustrations I had with trying to find Human Design courses online was that courses were unbelievably EXPENSIVE, so that it felt like this was a system for the elite. One site’s price of $350 covered just 1/4 of what we will cover in this course. Most courses on this site were near $1000. 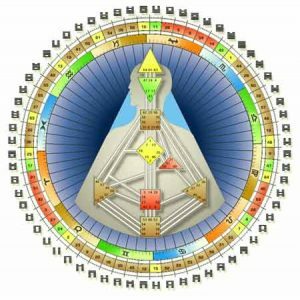 If you register at the Early Bird Rate, for less than the cost of one 90 minute consultation, you can receive 12 hours of in-depth Human Design chart analysis, including the opportunity to explore the charts of family members and beloveds. I also offer a payment plan option so that you can access this supremely valuable guidance without giving up your entire month’s income. Welcome to the evolution of your relationships. Welcome to Conscious Relating with Human Design.